Often referred to as god�s own country, Kerala is truly a traveler�s paradise. Synonymous with the very essence of Kerala, are the backwaters stretching in serpentine fashion through the Malabar Coast. Alleppey which lies along the coast of Kerala, is one of the most important tourist centers in the state. Aleppey in its hay days was an important trading center. To this day some of its charm is evident. Whether it is the picturesque backwater or the quaint churches, all speaks about an old world charm that is so much a part of this city of canals. These networks of canals and sub canals provide Aleppey its source of livelihood. The main crux of the tourism depends on the houseboats which cruise through the backwaters. The houseboats in Alleppey offer you a nightlong stay which can extend up to a month as per your convenience and pocket. The houseboats in Alleppey are maintained and owned by the Kerala Backwaters Pvt Ltd which came into being in 1995 and since then have been promoting backwater tourism in Alleppey. Imagine yourself in a serpentine shaped houseboat with all the modern amenities. When the night falls and the houseboat moves slowly towards the inland canal, it�s an unexplained feeling of fulfillment, not much different either from the boat rides in Venice. Houseboats in Alleppey are constructed of eco friendly materials like bamboo poles, coconut fiber mats, etc. You can avail a deluxe room along with a balcony. There�s also a separate crew room in most of these houseboats. The cuisine offered by the chef speaks of class and at the same time retains the flavors of Kerala. The boat trip through the backwaters gives one an idea of the true Alleppey lifestyle- a trip to their villages, having fresh sea food just out of the sea and barbecued. For a trip to Kerala book a tour with indiahotelandresort.com. 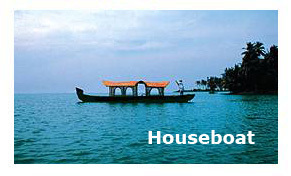 Log on to indiahotelandresort.com to know more about houseboats in Alleppey.